Want to learn how to dance hip hop in New York? Check out any of these great hip hop classes in NY, and find one that best suits your needs. Sign up for a hip hop dance class today, and show off your awesome new moves to all your friends! Fun, Friendly, and Easy Hip Hop Dancing Classes in NY! Learn hip-hop dancing in a way that's simple, effective, and easy-to-understand at Rise Hip-Hop! Learn how to dance with confidence and style from the friendly, down-to-earth instructors. Unlike some other hip-hop dance classes in NY, these classes aren't focused solely on memorizing routines. There are no sign up dates and you can start at any time you please! Even if you've never stepped onto a dance floor, these classes will provide you with the instruction you'll need to wow all your friends with flashy new dance moves. Check the website for special online discount rates. Join the mailing list and receive $5.00 off your first lesson! 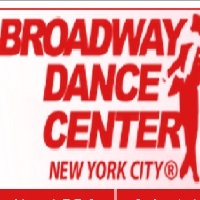 Broadway Dance Center was established in the year 1984. They have already earned the reputation of excellence in the world of dance education. They have been a world renowned dance school for a lot of dance styles! They have continued their dedication to the international dance community all over the world. The Broadway Dance Center NY has a lot of great things to impart on the dance students because the teachers themselves have been the best in their own field. The Broadway Dance Center currently accepts drop in class schedules for students ages 13 and above. They have 200 weekly classes and you can check this schedule on their website. If you are looking for a hip-hop dance class, you should enroll now at M Dance & Fitness NY! They are offering hip-hop dance classes at a very affordable price. They believe that dancing and being able to hone it is something that must be within reach by everyone. 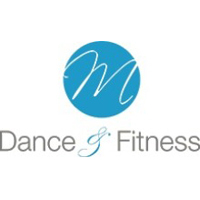 If you think you are too far from the studio, M Dance & Fitness has a lot of convenient places for you to enroll at. They have branches in Midtown West, Tribeca and Union Square or Flatiron. 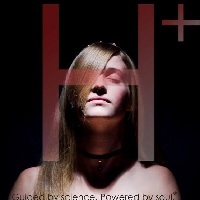 The environment of M Dance & Fitness will be fun and exciting; you will not get intimidated by the people at the place. There are also workout routines which will help you get fit and stay fit! If you are looking for a dance school where you can have fun and just enjoy the atmosphere, the Piel Canela Dance Company will give it to you! This dance studio in NY is offering Bachata, Zouk, Yoga, Reggaeton, Hip-Hop , Salsa, Belly Dance, Samba, Chacha, Hustle and many more. So what are you waiting for? It will be a lot of fun so do not worry about it that much! If you love dancing you should just go for it! 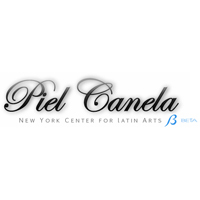 The Piel Canela Dance Company in NY is a good place for people at different levels and skills in dancing. You can learn a lot here if you stick with it and if you are really determined to learn! Steps on Broadway is a dance studio which was founded in the year 1979. Steps On Broadway NY has been internationally recognized ever since their inception! They have a lot of things to offer to the students. They are committed to the cultivation of the individual dancer to develop their talent more and to help them become more proficient in their chosen field. 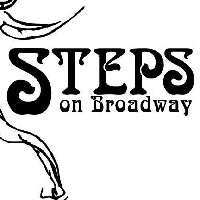 Steps on Broadway will be your helping hand in dancing! Classes are offered 7 days a week at all levels. The dancing styles available to enroll in are ballet, jazz, contemporary, theater dance, hip hop, tap, modern, ethnic, and body conditioning. 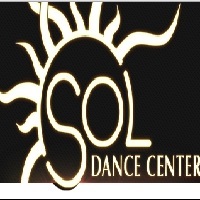 The Sol Dance Center was established in the year 2011. It is located in Astoria, New York. They were founded by a group of youthful people who are talented and professional dancers who are also committed to provide time for the center and to teach the students dancing. All of the teachers at the Sol Dance Center NY are volunteers who passionately love dancing. They have a lot of programs which they can offer to people who want to dance. Their dance classes include Salsa, Hip Hop, Belly Dancing, Ballet Tap and Jazz. So enroll now and enjoy learning how to dance while having fun. The Hip-Hop Dance Conservatory is a team which aims to help everyone who wants to learn hip-hop! All of the members of the team are very professional and very supportive. It will really give you a boost to move further with your dancing skills! The Hip-Hop Dance Conservatory NY believes that everyone has the talent to dance hip-hop, you just need to practice and work hard for it! Of course there will be tons of sweating and a lot of drills. The hours of operation of the dance classes at the Hip-Hop Dance Conservatory are from 10am to 6pm from Monday to Thursday and 10am to 8pm during Friday. They are closed from Saturday to Sunday. The PMT Dance Studio has been in the dancing industry for a long time now, they just celebrated their 10th anniversary. They aim to provide students of all levels with great dancing skills they will be proud of in the future! They will give you a unique dancing experiencing wherein you will be able to grow both mentally and physically! 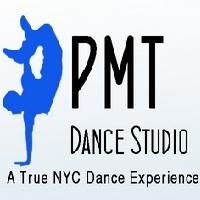 You must really enroll at the PMT Dance Studio NY if you want to be good at different dances! The PMT Dance Studio is offering very affordable dance classes so you should check them out now! They always prioritize the student, the learning experience the students will get and the dancing skills they will be able to impart. Ailey Extension believes that dancing must be accessible to everyone! Whether you have the skills and talent or not, you deserve to enroll and learn dances! The Ailey Extension embodies the legacy of Mr. Ailey who believes that dances coms from the people and should be given back to the people! This dance studio in New York has dance classes that will fit anyone that is interested. Ailey Extension NY is offering a lot of dance classes. You should check their website for the full list of their class schedules and dance classes. Chen & Dancers is an innovative dance company that has been creating unique and fun Asian-American expression which will embody the cultural heritage of the body. The dynamic style of Chen & Dancers NY has been enchanting the audience across America, Europe and even Asia ever since their establishment in the year 1978. There are a lot of world class acts which the company was able to accomplish. 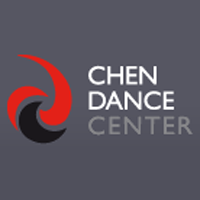 To know more about the classes and the class schedule Chen & Dancers in New York is offering, you should visit their website now. You will also be able to see the current events of Chen & Dancers. The Hip Hop Dance Junkies was solely created for those people who really do not have any dancing background. So with or without dancing experience you can really dance well if you enroll at the Hip Hop Dance Junkies NY! At this studio you will be able to be a more and more advanced dancer in no time. You can just leave your inhibitions at the comfort of your home and just bring your two feet to the friendly studio of Hip Hop Dance Junkies and learn how to dance! The first thing you will be able to learn in the class is the basics. They will teach you the ABCs of hip-hop dancing and you will know more and more as time passes. So enroll now at Hip Hop Dance Junkies NY!